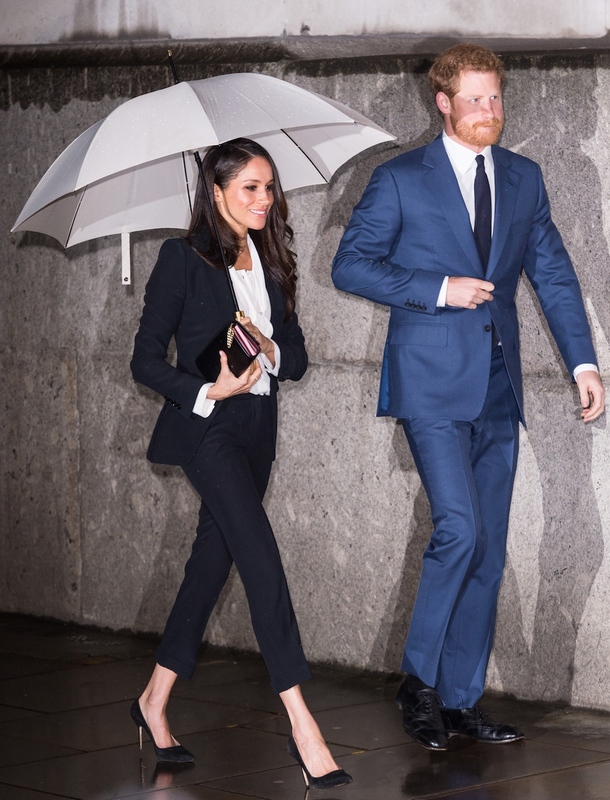 Meghan Markle stepped out in a stylish Alexander McQueen suit on a recent outing. One thing is certain, you don’t necessarily have to wear an expensive designer suit in order to look elegant and sophisticated like Meghan here. Check out the sleek black suit separates below along with some similar tops and pumps.